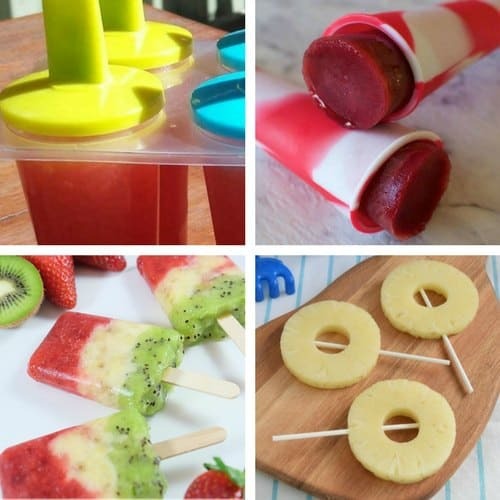 Making your own frozen treats (icy poles, ice blocks, popsicles – whatever you call them where you live!) is easier than you think. I love these for toddlers as they are perfect for getting some fruit into them when they are being fussy. They also work well for teething as well. I really love how healthy these are, and they are a great way to use up fruit that has been half eaten or isn’t looking the best anymore. If you check the labels on some (many!) 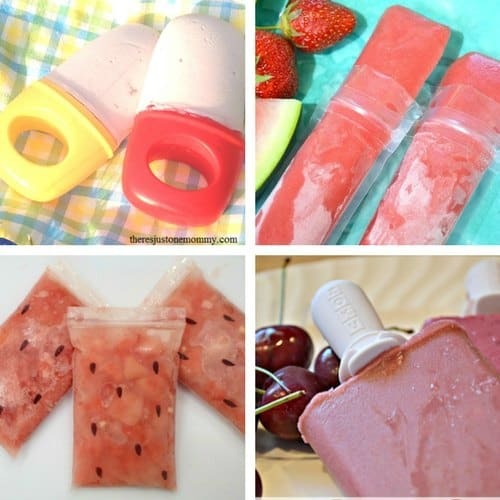 of the store bought frozen ice blocks and icy poles there are a lot of added ingredients and often a LOT of added sugar. 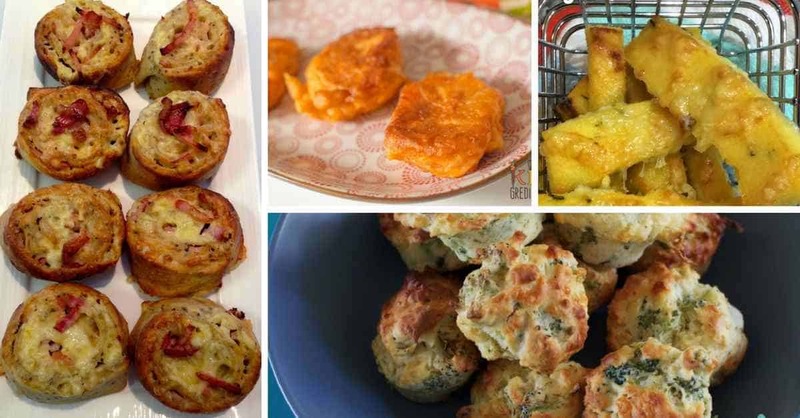 These recipes only contain the natural sugars found in the fruits – no extra is added. There are so many different types of moulds you can use for these (way more than I thought were available!) 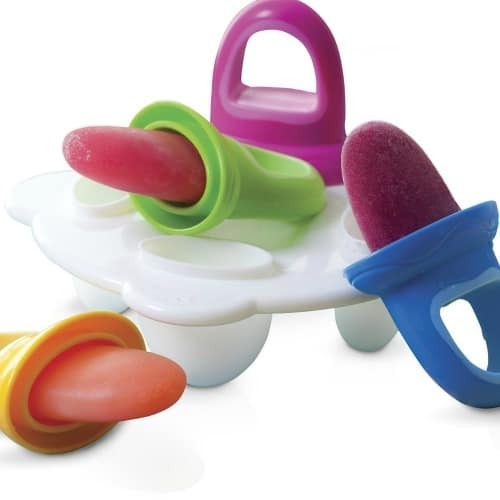 My favorite for toddlers is definitely the Nuby Fruitsicles – highly recommend these! They are a perfect size for little hands to grip on to and I even know of people using them to make breastmilk or formula popsicles too. 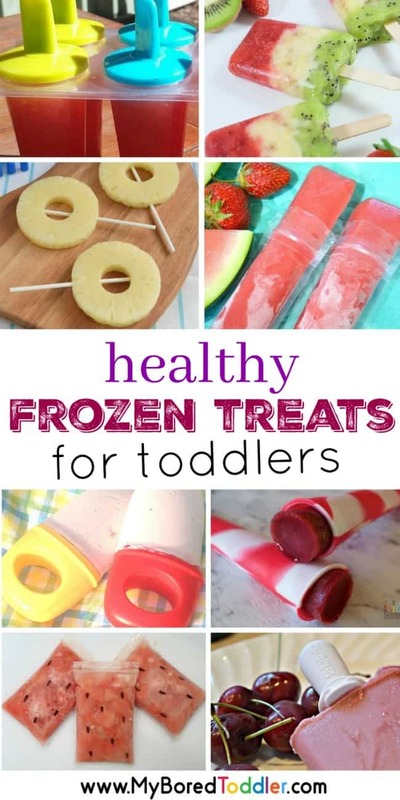 I really hope you enjoy making these healthy frozen treats for toddlers. 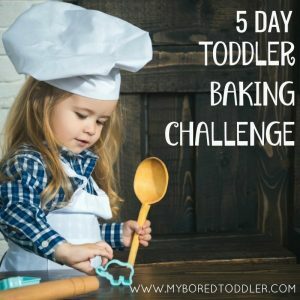 If you do make some, or you have your own recipe, I’d love to see some photos in our Facebook Group or over on Instagram – Use #MyBoredToddler so we can see! 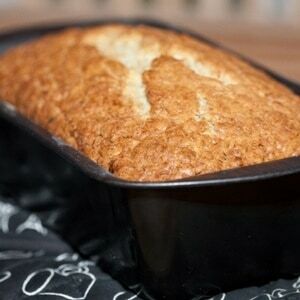 Banana Bread Your Toddler Can Make!